Please note that only Boats/Propellers 1999 and later are equipped with this anode. 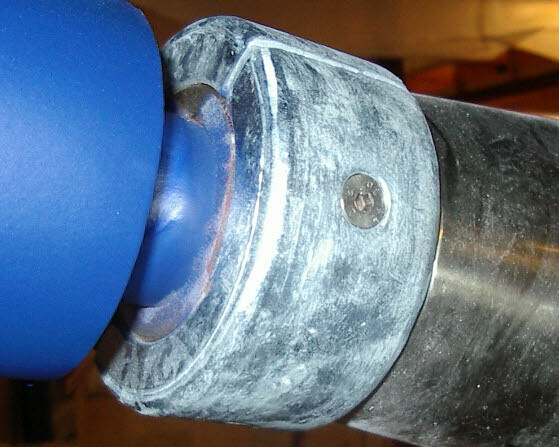 Propellers manufactured year 1994 to approx 1998 do not have the ring anode fitted. That related to HR39, HR42F, HR46 and HR53. When not certain, please check your propeller before ordering. Also remember to order the "Gori End Anode" and perhaps the "Gori Rubber Stops". ABOUT HR40 MK II. BOATS WITH RETRACTABLE STERN THRUSTER, THE BOAT IS EQUIPPED WITH SAIL DRIVE, AND NOT PROPELLER SHAFT. PLEASE SELECT CORRECT GORI RING ANODE.